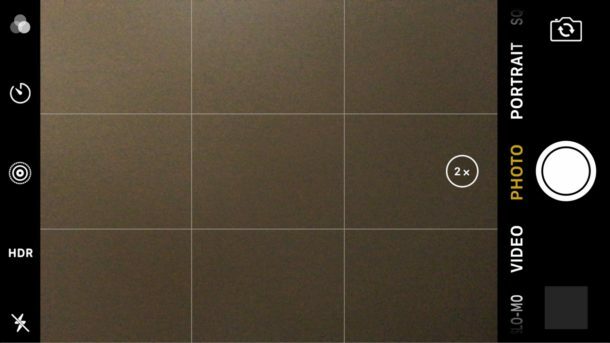 Turning on the iPhone camera grid makes it easier to take better pictures by offering a simple visual grid guide to improve photo composition. 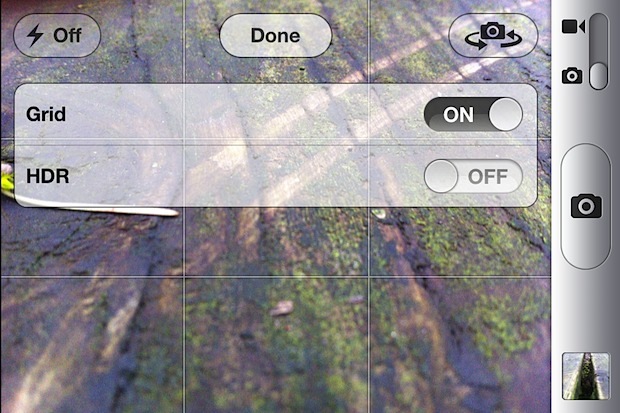 We’ll show you how to enable the grid on iPhone camera, and also how to use the grid to compose photos. When the camera grid has been enabled, a grid will appear on the screen of the camera as a faint overlay of a nine quadrant, three by three grid, this can be referenced to ease photo composition using the “rule of thirds”. Let’s get right to it and enable the feature, then we’ll briefly discuss the rule of thirds as well. The camera grid applies to the iPhone, iPad, and iPod touch running any modern version of iOS. The grid will not appear on finalized images in the photo stream. Why Use Camera Grid on iPhone? What’s the point of the camera grid you might be asking? If you’re new to photography or don’t know why the grid is potentially useful, the grid makes composing images using the “rule of thirds” easier. Essentially the “rule of thirds” means by dividing a picture into horizontal and vertical thirds and placing compositional elements along those lines and intersections, you’ll end up with better pictures. It’s an old artistic technique that has been around for hundreds of years, often utilized in photos, portraits, paintings, drawings, and even sculpture. The animated gif shown above from Wikimedia demonstrates this well, and there is more information on Wikipedia if you want an in depth explanation of the technique and its usage in art and photography throughout history. 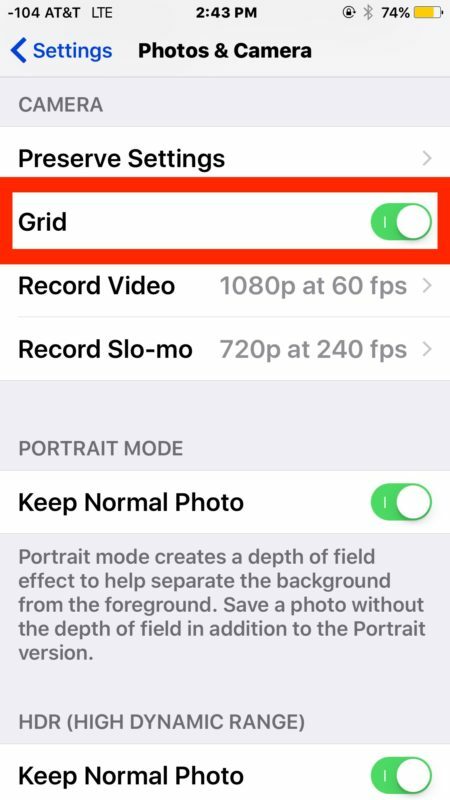 The grid option is available only to iOS devices with a camera, obviously without the camera ability you would not have such a feature.. I still do not know why the grid and how to use it…..cna you help? Once the Grid is enabled on iPhone camera, you can use it to help compose pictures either using the rule of thirds, or by aligning elements of a photo to the grid lines, like a horizon for example. Enjoy using the iPhone grid with your camera, it will make your photos better!